As the Head teacher of Loddon Primary Federation it is a real pleasure and privilege to welcome you to our school website. This website aims to give you a taste of the school, as well as providing regular updated information for both parents and pupils. We hope that you enjoy your visit, and that you find any information you are looking for. 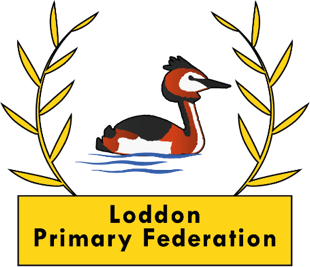 Loddon Primary Federation comprises of Loddon Infant & Nursery School and Loddon Junior School. Both schools are on Kittens Lane in Loddon. Our schools work together to provide a happy, caring and hardworking environment which our children enjoy coming to. We are proud of the welcoming and supportive ethos which we work hard to maintain, and of the academic achievements of our pupils. At Loddon Primary Federation we value every child and encourage them all to develop socially, emotionally, academically and physically to achieve their full potential in every aspect of life. We aim for all of our children to leave Loddon as life-long learners who have academic skills and emotional resilience to take on any challenges that they may encounter. Your school days are meant to be the best days of your life and we strive to make this a reality for the children who come to our school. We have a fantastic, dedicated team of talented and caring staff whose aim is to ensure progress for all of our children. Every pupil is given the equal opportunity to shine like stars! It is a real privilege to be given the opportunity to be the Head Teacher of this school and I am proud of all the people who contribute in some way to providing high quality education and opportunities for our children. I hope that the children leave Loddon having achieved their very best and look back with really positive and happy memories of the people, events and their time at this school. Thank you to 6C for their assembly this afternoon. Lots of interesting things that they have learnt about over the past 4 weeks. Well done!